I love anything by Martha Stewart, whether its Living magazine, Weddings magazine, online crafts store, cookbooks, and so on. I already have the "Martha Stewart's Living Cookbook: The New Classics", which is all about classic dishes, but I dislike that there were just a few pictures available. 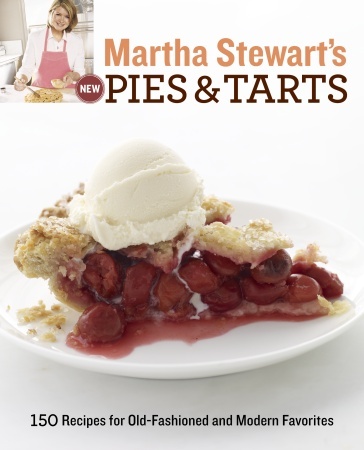 I hear her new version of "Martha Stewart New Pies & Tarts" has pictures of every single recipe!